The Tide’s No. 1 ranked 2019 class is mostly wrapped up and it is now time to look at back at who all has signed with Alabama. 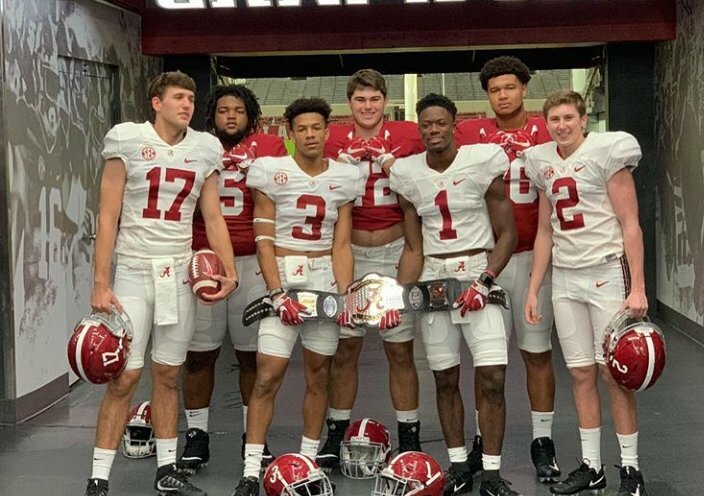 Here is a breakdown of the Tide’s 2019 class in its entirety. Kight is a 4-Star offensive tackle. 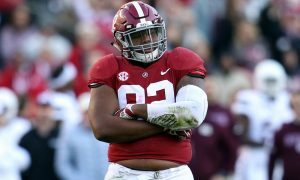 The 315-pounder was a high school teammate of Alabama quarterback signee, Taulia Tagovailoa. Kight is excellent at the tackle position as he has great footwork. He knows how to keep his feet at shoulder width and make his self wide, which makes it hard for a defensive end to get around him. The Tide landed possibly the best offensive line class of the Saban era and Kight played a huge part in that. The Mississippi-native is great at turning turnovers into points. Once he catches an interception, he is off to the races. 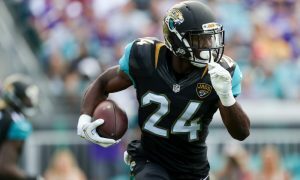 His speed also gives him the ability to keep up with the outstanding wide receivers that are in today’s game. 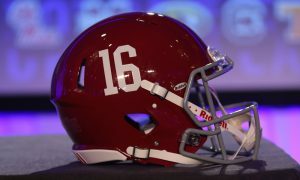 Alabama landed a total of five defensive backs in their 2018 recruiting class, after losing all of their starting defensive backs from last season. The Tide has had similar success in this recruiting cycle. Dale is one of the top players in the state of Alabama and it is easy to tell why. He is quick on his feet and has the ability to dominate inside of the trenches. The 6-feet-3-inches 323-pounder is extremely athletic and very knowledgeable of the game. He fires off the line with a great burst of speed and is able to break down when attempting to make tackles, making it very difficult for ball carriers to make a move on him. Mwikuta is an outside linebacker, that can come off the edge and make plays in the opponent’s backfield. Alabama’s linebacker corps wanted to add depth this class, which makes Mwikuta a huge get. Quick is a name that many people have heard time and time again for his efforts on the recruiting trail. Some of that attention may have taken the light away from his ability on the field. Quick was once considered a 5-Star recruit. He made sure he puts his hand on someone every play. He rarely loses one on one battle and is a master at getting pancake blocks. He has to fill his frame out a bit more, but he has a ton of potential. Bowles is an outstanding lineman. He makes great use of his hands during pass blocking making it very hard for defenders to get around him. He is also an aggressive blocker on the run. He has a great first step, which allows him to open up huge lanes for ball carriers. Everyone knows of the kicking woes the Tide have had over the last couple of seasons, which makes this commitment such a huge one. Kickers are often called upon during the most pressure-filled situations and having a great one goes over well for any team. The Tide has not been very lucky in the kicking game as of late, but have fortunately been able to work around it. Reichard will have a chance to change this when he gets his opportunity. Taulia is a 4-Star quarterback, but unlike his brother, he is more of a pro-style quarterback. He is very comfortable in the pocket. He keeps his feet moving at all times and throws the ball with a ton of confidence. Alabama’s coaching staff already has a great connection with Taulia, which should make his transition to Alabama very smooth. Billingsley has great size at 6-feet-4-inches and 218 pounds, who can make moves in open space. He has great knowledge of the game and knows how to bail out his quarterback when he gets in a bad predicament. Billingsley also has blocking experience as he can stalk block with the best of wide receivers as well as help create running lanes for running backs. This kid is very much a receiving tight end. He has the potential to turn into a threat in the passing game. Hellams is a scary defender that jumps at any opportunity to force a turnover. He is very athletic, which enables him to play both wide receiver and free safety. Nick Saban has been known to try players out in different positions, so don’t be surprised if he gets the chance to see some time on offense. Alabama is getting an elite player in Metchie. He is dangerous in space and is one of the more aggressive wideouts in this class. He has experience in the secondary and knows how to make sure he is felt on the defensive side of the ball as well. Lee is a 4-Star recruit and is ranked No.77 in the ESPN 300. He is a product of St. Francis Academy In Baltimore, Maryland, the same high school as Alabama freshmen defensive end, Eyabi Anoma. The Maryland-native stands at 6-feet and weighs 240 pounds. Make no mistakes about it, he makes great use of his size as he is a punishing tackler. He is also very athletic and has great footwork. He can move sideline to sideline and is pretty good in pass coverage. Harris has the ability to make an immediate impact. His jump off the line is phenomenal. It looks almost like he is popping off the ground because he is so explosive off the snap. He is also a tenacious defender. He never gives up on a play and has enough speed to chase down ball carriers from behind.This is also a guy that is in love with contact. He is going to hit somebody on the field before the whistle blows. On the rush, his outstanding. He hits the quarterback with a ton of force and makes his presence felt. Alfono is the No.1 player in the state of New Jersey and is a 5-Star recruit. He is an efficient tackler and has experience playing on the offensive line as well. This guy is most definitely a hand full at 6-feet-4-inches and 285 pounds. He has the ability to set the edge and is very technically sound. The most impressive thing about him is the way that he can recognize where a play is going early and attack. He rarely judges a play wrong and outruns a potential tackle. Alabama wants to add some depth to their defensive front and Alfono is a huge addition. Eboigbe is a lengthy defensive end, that use his long frame to extend and make tackles on fleeing ball carriers. He also doesn’t mind delivering the hard hits and making runners remember him. Eboigbe and the other defensive linemen in this class will not all be called upon to produce early, which gives many of them time to develop and adjust to the college, and most importantly, SEC style of football. Tyson has all the potential to be great at the next level. He has the arm and the size at 6-feet-4-inches and 2 pounds. He knows how to use the weapons around him to create big plays. He was credited with a low interception number during his high dchool career due to his ability to put the football where only his guy could get it. Banks is a lengthy defensive back, who prides himself off going stride to stride with wide receivers and knocking the ball away. He has the speed to to stick with most wide-outs and his arm length allows him to break up many plays. Sanders is a versatile back, who can be used as a weapon in the pass and run game. He is also no stranger to sharing carries as he had to share the backfield with top running back, Noah Cain. 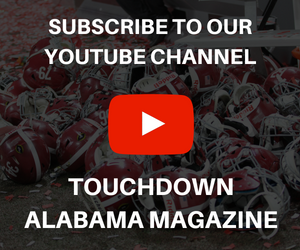 His running back coach was former Auburn running back, Cadillac Williams, who also shared time in the backfield during his time in college. Ingraham helped a stiffing St. Thomas Aquinas defensive line provide constant pressure during his senior season. His 6-feet-4-inches 260 pound frame makes him a handful coming off the snap. He has the potential to fit right in with the defensive line group at Alabama. Neal is often refereed to as a man among boys with 6-feet-8-inches 300 plus pound frame. He has great footwork for a guy his size and many feel he can come in and battle for immediate playing time next season. Dalcourt is a lineman, who could play multiple positions. 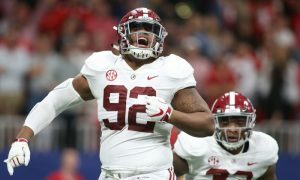 The Tide is looking to use him at the center position, which is a position that he started playing during his senior season. He has grown a lot at that position this season and got to show his potential at 2018 Under Armour All-American Game. Carter has the speed and athleticism to adjust and react to plays pretty quick. 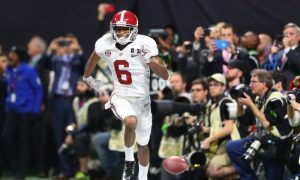 He has the speed to turn interceptions into pick sixes and like many of the Tide’s 2019 defensive back class, he played on both sides of the ball. It is easy to tell why Harris is considered an athlete. He has the ability to play both sides off the ball at pretty much every skill position. 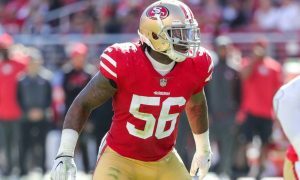 The Tide will most likely use him at the linebacker position. Battle is a slim lengthy defensive back, who can stand to add on some more weight, but he has shown he can be an effective safety at the next level. 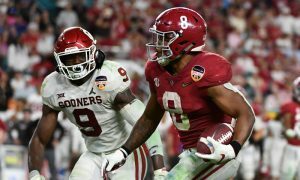 He knows how to play lose to the line of scrimmage and deep in the defensive backfield, which is where former Tide defensive backs, Minkah Fitzpatrick excelled at. Robinson stands at 5-feet-9-inches and weighs 184 pounds. He is a tenacious runner with a ton of speed. His ability to make plays in the open field with his wide array of juke moves and sharp cuts gives defenders fits and makes it very hard to get hands on him. It is impossible to overlook Young when he is on the field. His size makes him stand out and his ability to plug up holes is pretty impressive. He knows how to make sure his presence was felt on the field. Sopsher was ranked as a 5-star recruit for most of his recruitment, but some adjusted his ranking to a 4-Star, but he still is an elite defensive tackle. At 6-3 and 334 pounds, Sopsher is a monster in the trenches. There is no way one man is going to stop him and his first step is impressive for a guy his size.